Experience history first-hand with My Story! 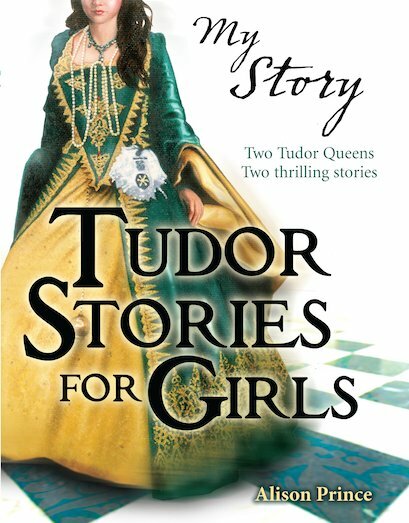 Tudor history comes to rich and vivid life in this pair of fictional diaries by award-winning author Alison Prince. My Tudor Queen is the diary of Eva De Puebla, who comes to England as the young lady-in-waiting to Catherine of Aragon, future wife of Henry VIII. Then the story continues in Anne Boleyn and Me, as Eva’s daughter, Elinor Valjean, serves in Henry VIII’s court as he unveils his new queen… A must for any fan of historical fiction! 1030L Lexiles are the global standard in reading assessment. They are unique as they are able to measure a child and a book on the same scale – ensuring the right book gets to the right child at the right time. I loved it! In My Tudor Queen, I thought it was very historic and romantic. I thought Eva was very kind to accompany Catherine of Aragon on the journey to England. In Anne Boylen and Me I thought Elinor was so brave, leaving her parents behind and all. You must read it!